The features are the most ambitious to date in Apple’s growing suite of health-monitoring tools—but they are noteworthy also for producing a palpable tension in the healthcare community. Some experts say the Apple Watch’s arrhythmia notifications and ECG have enormous potential to benefit public health. But those same experts also express caution and concern. “Apple has essentially gotten out ahead of where medicine is,” says Greg Marcus, a cardiac electrophysiologist and the chief of cardiology research at the University of California, San Francisco. 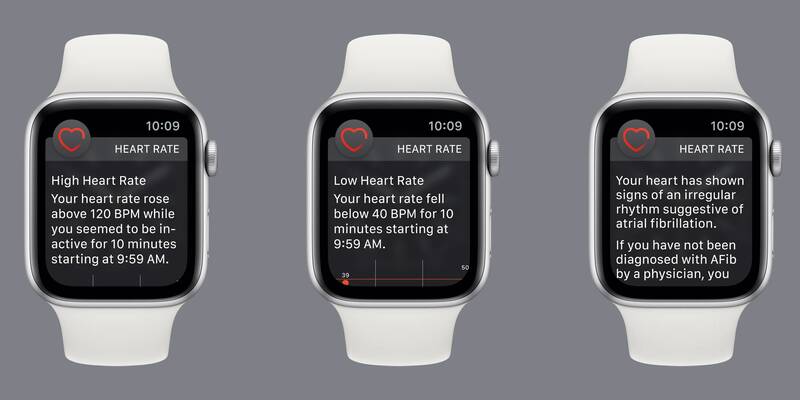 Apple Watch’s new features are designed to help users spot signs of an irregular heart rhythm known as atrial fibrillation—AFib, for short. It’s the most common form of arrhythmia, with upwards of 6 million diagnoses in America alone, a number that is expected to increase to 12 million by 2030. It’s also associated with increased risk of serious health problems like stroke. Plus it’s underdiagnosed: Conservative estimates predict that 700,000 Americans are affected by AFib and don’t even know it, but many experts think the actual number is much higher. 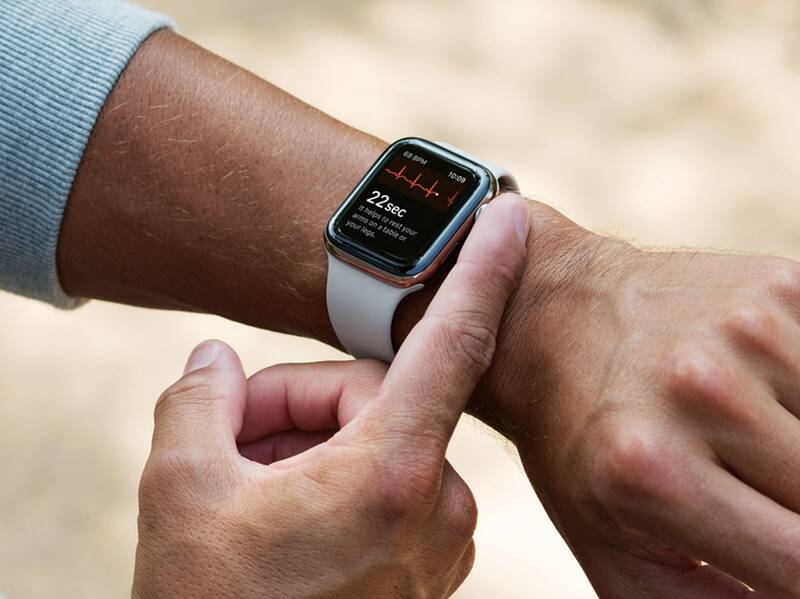 Apple thinks its wearables, which already adorn the wrists of millions of people, can help spotlight previously undiagnosed cases of AFib and enable patients with existing diagnoses to monitor their symptoms. The company is backing those claims with two clinical trials, which it describes in a white paper published on its website Thursday. The first trial found that the watch’s irregular rhythm notifications compared favorably to the performance of a typical, doctor-prescribed ECG patch, accurately flagging the presence of AFib and occasionally other arrhythmias. It featured 226 people, a tiny subset of patients from a much larger, and still ongoing, studyconducted in collaboration with Stanford Medicine. The second study, which involved some 600 people, examined how well an ECG recorded on the watch could distinguish between AFib and a normal heartbeat. Cardiologists who were kept in the dark about the experimental conditions compared readings from the watch’s electrocardiogram to those from a 12-lead ECG—an expensive, hospital-grade device and the gold standard for AFib diagnosis. They found that Apple’s ECG app demonstrated 98.3 percent sensitivity in classifying AFib, meaning it rarely missed cases of AFib. And it showed 99.6 percent specificity in classifying normal rhythms; that is, the watch’s algorithm even more rarely mistook healthy heartbeats for something more sinister. In plain English: These are, at first glance, strong findings that underscore the watch’s AFib-flagging accuracy. It’s a good look for Apple. What he means is that even if the Apple Watch’s heart-monitoring features are accurate, it’s not obvious that screening for AFib in millions of undiagnosed people will do more good than harm. The lack of clarity is why the US Preventive Services Task Force, an independent, volunteer panel of national experts in disease prevention, currently recommends against screening asymptomatic adults for AFib. “The main concerns are that people will be unduly alarmed, anxious, and seek medical attention and treatments they don’t need,” says Marcus, of UCSF, who led the first study to show that the Apple Watch’s optical sensors could be used to discriminate AFib from a normal heart rhythm, using a third-party app called Cardiogram. 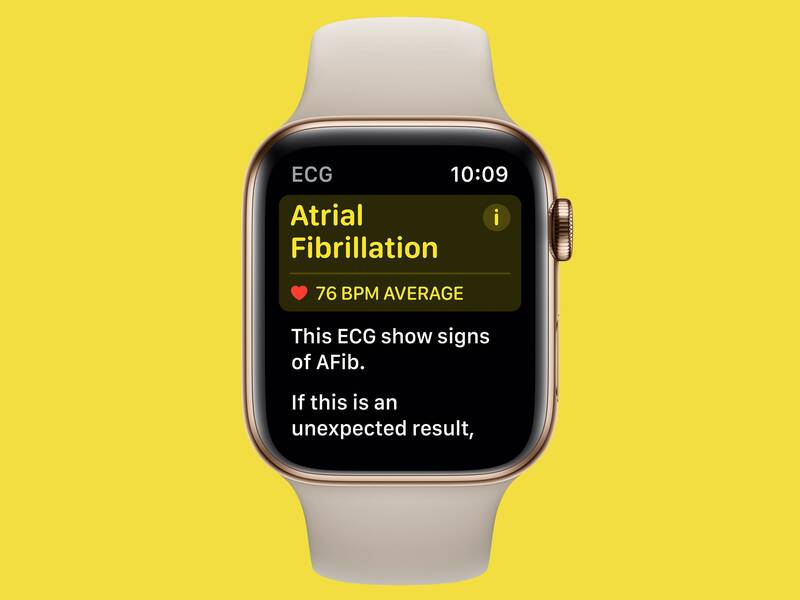 In that study, Marcus and his colleagues demonstrated that the big issue with using the Apple Watch to detect AFib isn’t so much its accuracy—it’s who’s wearing it. In a large, generally healthy population, even accurate diagnostic tests can produce relatively large numbers of false positive results, which can frighten patients and overwhelm healthcare systems. Medical providers describe such a test as having a low positive predictive value. Millions of people wear Apple Watches, and most of them don’t have AFib. “So almost by definition, if we’re screening for a disorder across this large population, then it is very likely that the positive predictive value is going to be quite low,” Marcus says. To complicate things further, it’s not clear what benefits will come from screening with the Apple Watch. “We don’t know what to do in an otherwise healthy 65-year-old who experiences one brief episode of AFib a year, let alone a healthy 30- or 40-year-old,” says Passman. Short-lived arrhythmias that only crop up occasionally are exactly the kind of thing the Apple Watch is likely to detect. Meanwhile, Passman says, researchers have yet to prove that knowing you have AFib, as a young person, is useful information. The great irony of the Apple Watch’s new heart-monitoring features is that they are well-positioned to address many of the questions they raise—eventually. Especially if the company continues to collaborate with academic researchers in the public eye, as they have with the Apple Heart Study. Never before has an arrhythmia-screening device been so accessible to so many people. The science of AFib screening is far from settled, and with the release of the Apple Watch’s new heart-monitoring features, the potential for discovery is high. In the short term, they could wind up doing more harm than good. But years down the road, they could also make solid progress in demystifying heart health.